I currently participate in a small reading group with colleagues from the Political Science, Romance Languages and Linguistics, and Religion Departments. 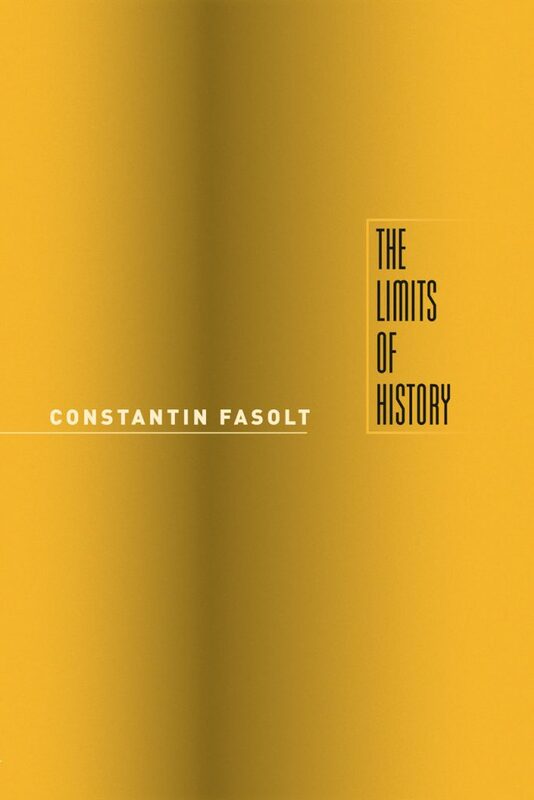 Many of the works we have read explore the relationship between politics and religion in the context of modernity, and we recently discussed Constantin Fasolt’s The Limits of History, first published by the University of Chicago Press in 2004. Fasolt is Professor emeritus of History at the University of Chicago, and he has written extensively on political, social, and legal thought in medieval and early modern Europe. The Limits of History is noteworthy for its use of a relatively narrow historical case study—an examination of the work of the seventeeth-century German scholar Hermann Conring (1606-1681)—as the springboard for a broad historiographical critique. Fasolt’s engaging and lively analysis moves deftly from close readings of Conring’s works on political authority to a wide-ranging theoretical examination of the social and political implications of historical research. This work is of particular interest to me in connection with my own research on Sri Lankan Buddhist pilgrimage sites, specifically my exploration of historical narratives employed by advocates for the authenticity of Batathota cave temple (shown above in my 2016 photograph) as the true site of Divaguhava, the Cave of the [Buddha’s] Midday Rest, one of the sixteen great pilgrimage sites in Sri Lanka linked to the tradition that Gotama Buddha visited the island three times during his lifetime. For those who know something about the modern history of Sinhala Buddhist nationalist discourses, it is probably not surprising to observe that these narratives, as identified and employed by advocates for the site, are not simply collections of “facts” about the past; rather, even a cursory analysis suggests that these narratives, whether as transmitted through published texts or mediated through oral accounts presented by lay officials at the site, serve a variety of social ends that might be characterized as “political” or “religious” (both of which are vexed categories that demand careful unpacking, particularly when contrasted with one another). What is less obvious is the political work accomplished by my own historical analysis, and this is precisely where Fasolt’s analysis provides some crucial insights. The substance of Fasolt’s critique is relatively straightforward. He seeks to raise historians’ awareness of the links between historical analysis and the emergence of several key features of western modernity. According to Fasolt, freedom and progress depend upon the distinction between past and present, which the work of historians creates. Historians, through their commitment to discovering what “really” happened in the past on the basis of historical evidence, make possible the emergence of an individual subjectivity characterized by freedom from the past. The doing of history, he suggests, has become so naturalized that we have lost sight of the social and political conflicts that gave rise to it. He writes: “History enlists the desire for knowledge about the past to meet a deeper need: the need for power and independence, the need to have done with the past and to be rid of things that cannot be forgotten. Whatever knowledge it may pick up along the way is but a means toward that end” (Introduction). Thus historical work is an exercise of power, one that can have dangerous consequences, particularly if those who undertake it regard it as “a natural, neutral, harmless, and universally applicable form of thought” (32). As he puts it: “The past, as a familiar saying goes, is a foreign country. Historians are just as active in invading that foreign country, conquering its inhabitants, subjecting them to their discipline, and annexing their territories to the possessions of the present as any imperialist who ever sought to impose his power on colonies abroad. To call their activity a conquest is no mere figure of speech. It is a perfectly accurate description of history’s political effect” (Introduction). Does this lead him to conclude that we must stop doing history? Not at all. The problem isn’t that we seek knowledge about the past. 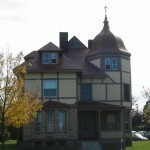 Rather, the danger of an unreflective historical consciousness is its intrinsic imperialism, at least when it is universalized and naturalized by the quest for objectivity: “History, in all its variations, continues to draw strength from the conviction that there is nothing wrong with the standards of objectivity, only with their implementation” (35). Drawing on the metaphor of a camera, he describes those who operate within an historical consciousness as acting “like the photographer who never looks at anything except through the lens of his camera. We seem to have lost the ability to recognize that history is merely one way of looking at the world, a good way (because our freedom depends on it), but one that neither shows everything to us nor shows anything without refraction” (32). Evoking the language of religion (which is surprisingly absent from his analysis of Conring’s own works), he observes: “Seen from outside … history rather appears to be the intellectual form that secularized Christianity has given to its preoccupation with the salvation of the soul. It is the same preoccupation that was in earlier times cast in the forms of theology and canon law. History is the ritual examination (especially by experts officially trained and licensed) of certain objects (mostly preserved in archives, libraries, and museums) without which the distinction between past and present could not support the weight placed on it by the established church— that modern church embodied in the nationstate whose symbols are printed on every dollar bill and whose members worship at the altar of nature. History serves to keep the modern world united. It is linked to violence in the same way that Christianity was formerly linked to the Crusades” (230). These are powerful assertions, and they raise troubling implications for those of us who, like myself, regard historical analysis as foundational to our critical work. How does it reposition, for example, the way that I think about my work on Batathota cave temple? While I am only beginning to attempt to work through the implications of Fasolt’s historiographical critique, at least one possible direction for further reflection comes to mind: the recognition that historical discourses are culturally embedded in complex ways, both in the Euro-American tradition of Buddhist studies within which my own work is situated, and in the postcolonial emergence of Sri Lankan nationalist and religious discourses. What is at stake in asserting that a particular event is “historical,” for example, the visit of Gotama Buddha to a particular Sri Lankan cave? 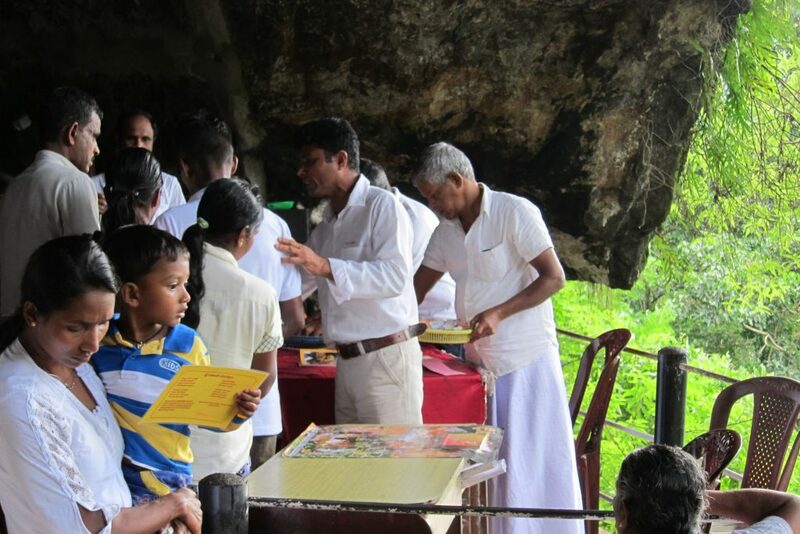 The asking and answering of that question by lay officials at Batathota cave temple, and by me as a North American scholar of Buddhism, point to important areas of convergence and difference that I hope to explore in greater depth as a result of having encountered Fasolt’s rich and illuminating book. Constantin Fasolt. 2013. The Limits of History. Chicago: University of Chicago Press. Kindle Edition.